There was a time in my life where I probably ate a total of 20g of protein per DAY and there was another time in my life where I ate protein in excessive amounts because I thought more protein= more muscle= less body fat. Man, was I wrong in both of those scenarios! 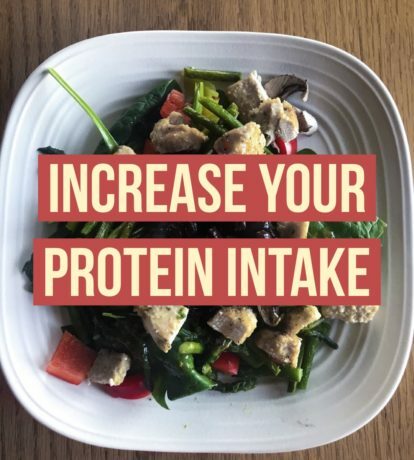 If you found yourself saying “Me too” to one of the scenarios above, or maybe you’re just completely confused on protein intake altogether, OR MAYBE you don’t even know how much protein you’re taking in, then this blog will help give you some clarity on the deal with protein. The current recommendation of protein intake from the International Society of Sports Nutrition (ISSN) is roughly 1.4-2.0g of protein per kg of body weight. Based on my experience as a coach over the past 5 years, I’ve realized that people are usually way under this recommendation or way over (kind of like how I was). Like most things nutrition, there’s a ton of false information out there so I honestly don’t blame people for being confused, but if you aim to be in the range of the recommendation above, you’ll be good to go with protein intake. If you have no clue how to figure out how much protein you’re taking in, I have a mission for you. Track ONE day of what you normally eat using an app (we recommend My Macros+). Try to track a normal day of eating and see where you end up by the end of the day. You’re probably going to be a little bit surprised if you’ve never tracked your intake before, but this will likely be a great, eye-opening experience that maybe your diet could use some improvement. Increase the serving sizes of protein you’re already eating. For example, let’s say you usually pack a chicken salad for lunch. Instead of having one piece of chicken (roughly 2-3 ounces) have two pieces (roughly 4-6 ounces) or instead of just 2 slices of turkey breast on your sandwich, double up and have 4. This is probably one of the most overlooked ways to increase protein intake, but also probably the most simple. Try to include a protein source at every meal including snacks. Instead of your string cheese and almonds (mostly fats with very little protein) try having some deli meat, hard boiled egg whites or even a single serving tuna packet (these are so good!). If all else fails, you can include a protein shake as a snack or meal replacement depending on what your goals are. Our favorite (and most tasty brands are PEScience, Quest Nutrition, or Optimum Nutrition). One scoop of protein powder packs in about 20-25g of protein. If your stomach doesn’t agree with whey, PEScience also has a great vegan-based protein powder that actually tastes decent too. Protein intake doesn’t have to be that complicated, nor should it be a huge challenge for you to achieve daily. With some minor diet tweaks, you can be consuming your individual protein intake with ease and continue along to a stronger, leaner physique!